We are registered agent for Liberty Insurance (previous known as UniAsia Insurance). This website is dedicated to promote Liberty general insurance business in Malaysia. 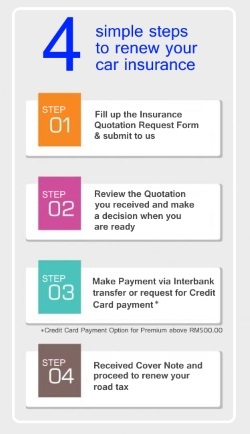 We offer online car insurance renewal via this site where upon submission of your car detail and personal information, we will revert back to you with an official quotation. We strive to offer our customer swift service and ease of convenience in renewing your car insurance as well as other general insurance need’s such as fire insurance, group PA, travel insurance etc.